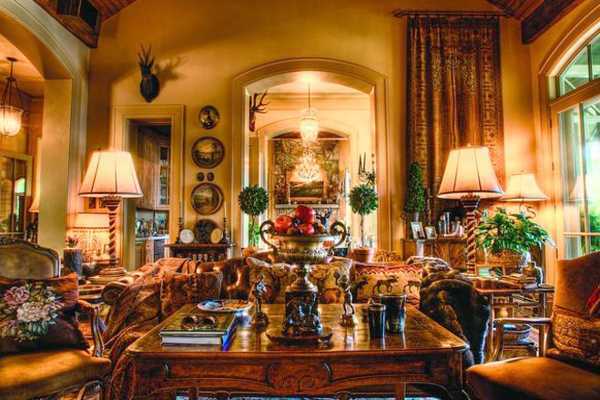 Opulent interior design and decor in vintage style with carved of solid wood architectural elements and antique decorative accessories create gorgeous living spaces. Soft, warm room colors and comfortable layout turn this lush home into a luxurious, spacious and spectacular waterfront retreat on a lake. 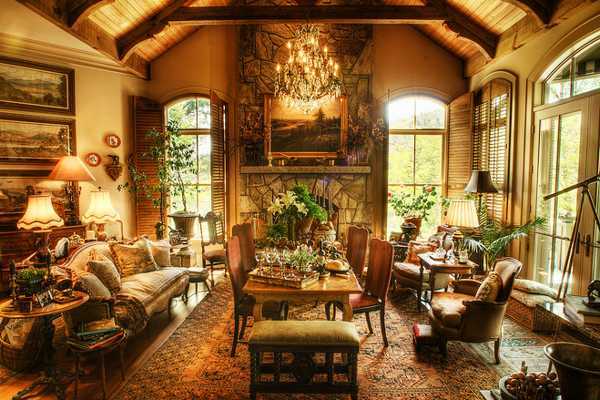 Lushome presents beautiful interior design and decor ideas enriched by accents in vintage style. 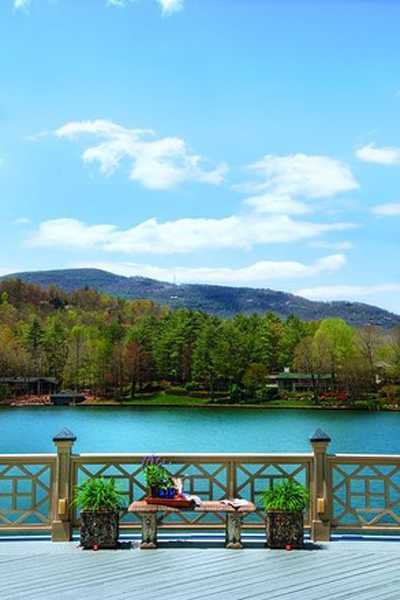 Panoramic lake views enhance these fabulous home interiors and create wonderful spaces perfect for entertaining or enjoying quiet evenings. Vintage room furniture and decor accessories form a unique collection that owners set up with items bought at flea markets and yard sales. 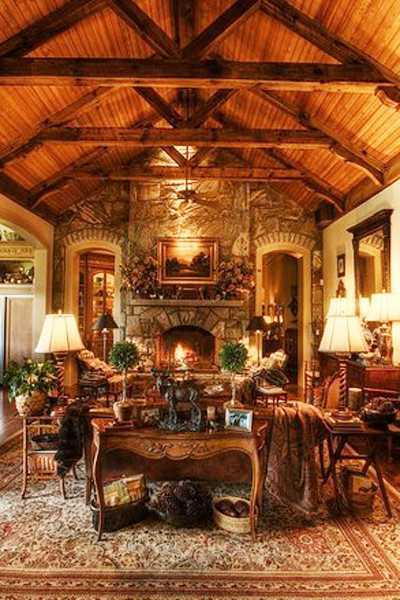 Carefully restored, vintage furniture and decor accessories, tapestries, wall paintings and floor rugs look fabulous with a stone fireplace and exposed wooden ceiling beams and antique lighting fixtures. Vintage decor adds unique character to the stunning and bright rooms. Large windows invite the sunshine into these charming rooms with unique furniture and precious classic artworks. 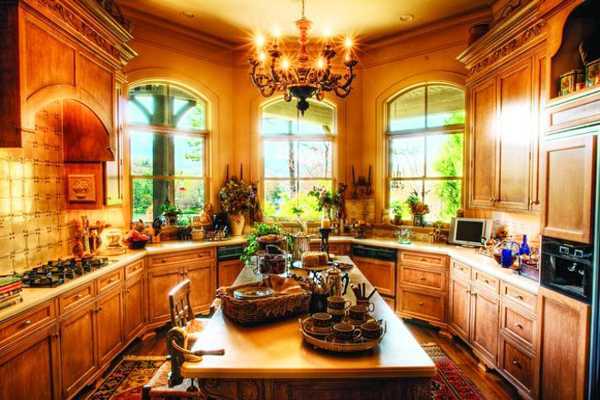 Beautiful sunny yellow, light brown color shades and lots of lighting fixtures create warm and inviting home interiors. 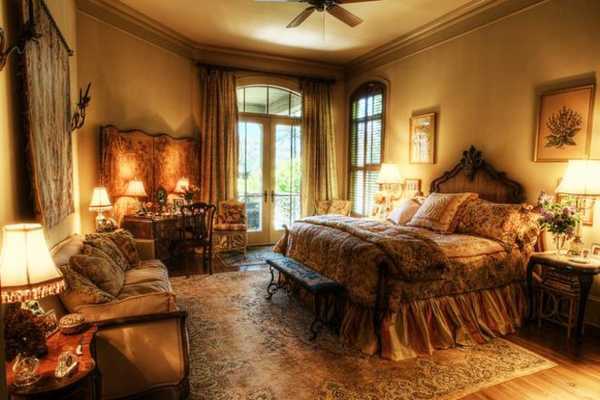 Vintage lights work as original accents that give personality and chic to interior design and decor in classic style. Beautiful room colors, soft and warm tones and classic pleasant color combinations fill home interiors with a relaxing atmosphere, blending comfort and elegance into the stylish and lush home. 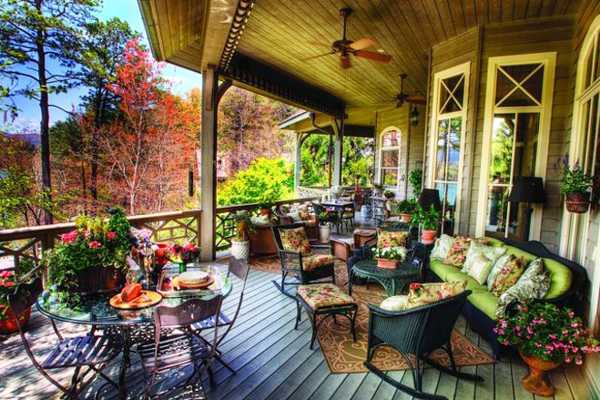 The house features a beautiful deck decorated with welcoming outdoor furniture. The classy residence offers a comfortable dining area and an elegant seating area that bloom in bright colors. Inviting, beautiful, functional and modern interior design and decor ideas are inspiring. The living spaces in a classic style show how to create an ultimate appeal, infuse elegant comfort and highlight the splendid beauty of home decorating in unique vintage style.